Honda Bringing Power Steering To Bikes? It appears that Honda may be looking at bringing a certain technology to motorcycles for the first time. Power steering has been in automobiles for decades but never before has been found in a two-wheeled motorcycle. Apparently, if Honda has its way that’s about to change. 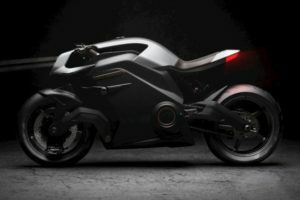 Honda had previously filed a patent for a “motorcycle” specific power steering assist for its 3 wheeled NEO Wing. Given the apparent size and weight of the proposed machine, power steering seems like it might be a good idea. But in its latest patent filing, Honda has changed things up a bit. From the patent drawings, it’s clear that this is a completely different unit. Much smaller and more compact, the new unit sits squarely in the center of the fork assembly (Item C20 in the drawing). A new smaller steering assist mechanism can be seen as item C20 in this patent drawing. Photo credit: MoreBikes. The power steering unit for the NEO Wing is a large bulbous protrusion way out in front of the fork and looks to be many times larger. That’s not the clearest description, but it does indeed tell us that Honda wants to patent a system which will provide additional force into the steering mechanism. 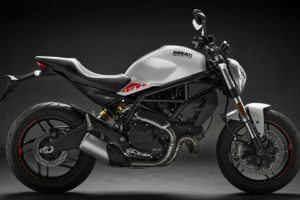 Which Bike Will Receive Steering Assist? The bike that will receive this system is not clear. One could guess that it will be a large bike, but how big is a bike that would benefit from power steering? It’s understandable on a big heavy three-wheeled bike with two wheels up front. But is it really necessary or appropriate for a two-wheeled bike?